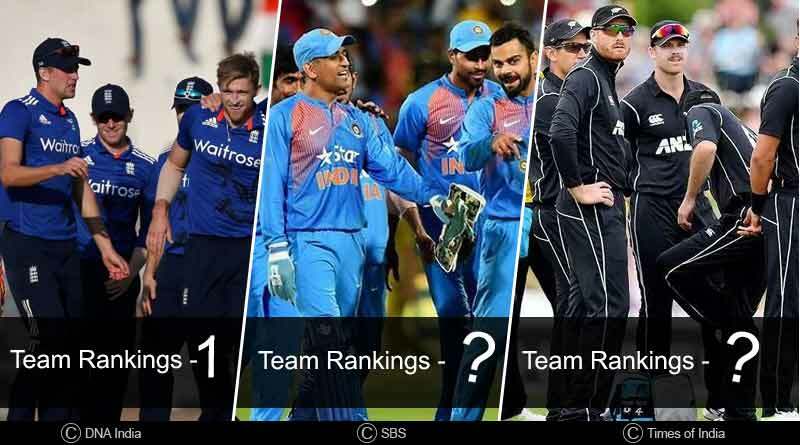 Here are all the details of ICC ODI Team Rankings for all countries. On the back of a man of the series performance in the recently concluded Paytm ODI series against West Indies, Indian captain and by far the best batsman in the world currently, Virat Kohli solidified his top spot in the ODI rankings for batsmen. Scoring 453 runs at an average of 150, Kohli gained 15 points to reach 899 rating points and strengthen his ironclad over the top spot. Jasprit Bumrah who was quintessential to India’s bowling unit once again continues his reign at the top of the bowlers’ charts with 841 points. 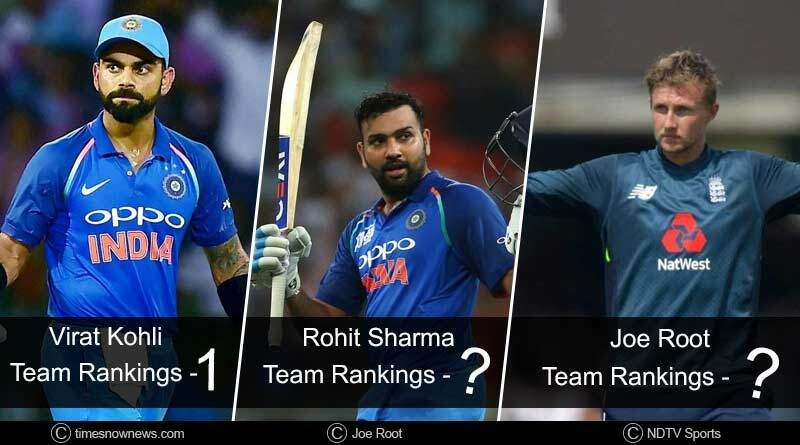 The ICC ODI Team Rankings which have been updated following the end of the series between India and West Indies, Sri Lanka and England & Bangladesh and Zimbabwe see England maintain their status as the number one ranked one-day international playing nation. India follows close behind though with 121 points with a 3-1 win over the West Indies in the five matches ODI series. A series that held us spell bounded by Virat Kohli’s genius, saw him do great justice to the tag of a cricketing wonder. Not only did Kohli become the fastest ever batsman in the world to reach 10,000 runs in ODI cricket, but he was also the mainstay of the Indian innings in the first three ODIs, guiding his team to three 300 plus totals as wickets fell around him. Cementing his place at the top, Kohli as not slipped from pole position the entire year courtesy of his form which has left everyone mesmerised. Making a one-two at the top with Kohli was opener Rohit Sharma who with 398 runs collected 29 career rating points to accumulate a total of 871. Shikhar Dhawan, on the other hand, fell four places to be ranked ninth in the latest rankings after failing to register even one half-century this series. On the bowling front, spinners Ravindra Jadeja and Yuzvendra Chahal made massive jumps in the table. Chahal entered the top 10, gaining three places to finish at eight while spinning all-rounder Jadeja climbed 16 places up the table to reach 25 with 7 wickets in the series. 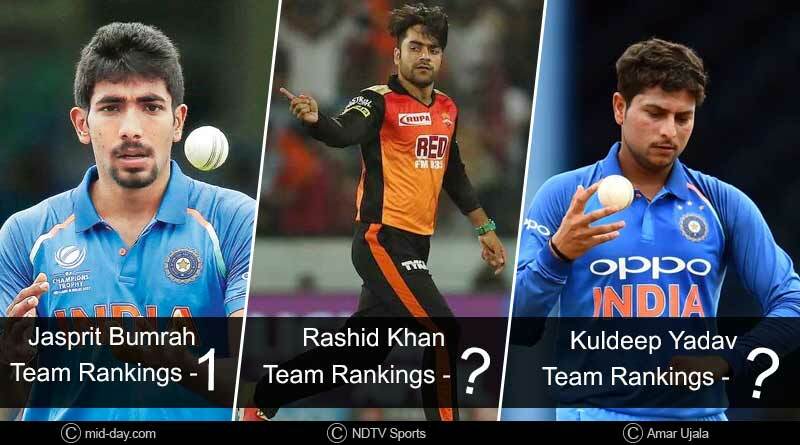 At the top sit Bumrah and Kuldeep Yadav who are both on career-best rating points to occupy the first and third positions for India respectively. The ratings brought in some cheer for West Indies as well with Shai Hope making an entry into the top 25. With 250 runs in 5 matches at 62.50, Hope was the biggest climber for the visitors, becoming the highest ranked West Indian player in the progress. Compatriot Hetmyer follows him behind on 26. 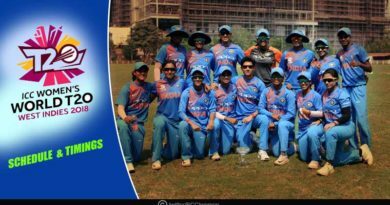 For more details on ICC ODI Team Rankings and related updates, like and subscribe to tentaran.com.